Chester Carlson developed the first “dry copying” process in his kitchen, which almost led to a kitchen fire. 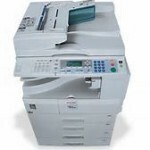 Xerox hired Carlson after he came up with it in 1938 and continued to utilize this process in a lot of their devices. They were also the first company to invent things like the first office server, desktop computer, graphical user interfaces, and the first device that would later become known as the “mouse.” They also invented the first cathode ray tube monitor. These inventions were eventually licensed to Steve Jobs who used them in his first version of the Macintosh computer. They have also invented what they call the “e-Concierge” which is a web based email interface that makes it possible for the gathering of data so that they will order toner and paper before you run out. Xerox also invented the first laser jet printing process. Xerox is not just innovative in terms of technology but are also progressive when it comes to social concerns which is evidenced by them being the only fortune 500 company to have an African-American female as their CEO. They also offer cloud based products that make it easy to share files with remote workers who can then print from wherever they might be. 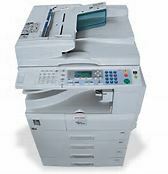 If your Denver area company would like to work with such an innovative company, please give us a call at 3035867704 for any of your Xerox needs.